It was a backyard barbeque where serious conversations are rarerthan the steaks, and someone was overheard referring to Ms. Abrams, “…and she can’t even balance her checkbook…”This was a reference to a comment made by the candidate herself, admitting to something that most of us have experienced, in spite of QuickBooks and Excel. So when I saw the letter from Sen. Warren it seemed like a good idea to share this with as many people as possible. For anyone inspired to support her this is a rare opportunity to be part of “outside money”being used for a progressivepurpose. Here is some of Sen. Warren’s appeal and I’ve put a link to a Time Magazine article about Ms. Abrams herself to provide some perspective. 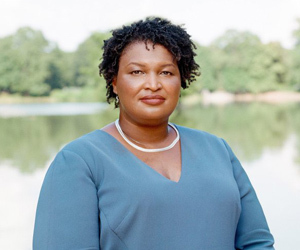 “Democrat Stacey Abrams is INCREDIBLE—she’ll make history by being elected our country’s first African American woman governor, EVER. Please, click here to chip in $3 right now to help Stacey Abrams fight back, win, make history, and get things done for Georgia’s working families. Thanks for being a part of this.